Breakfast Balls. Well really, Breakfast, Snack, Lunch, Dinner, pre or post workout, anytime balls!! These are the best I have ever made so thought it would be unfair to keep the recipe a secret! 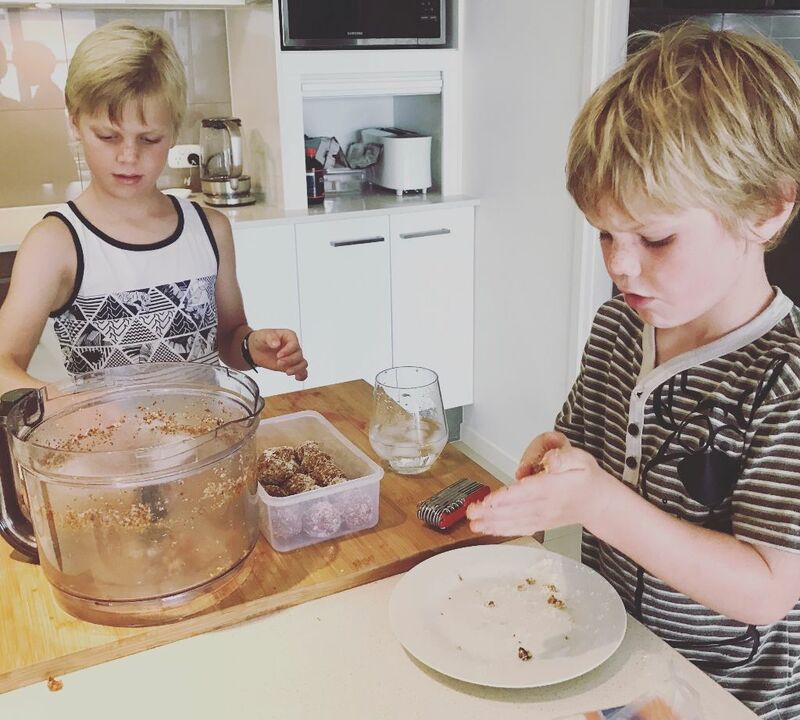 For those lucky enough to have a Thermomix in your kitchen, ignore this post!! For those ordinary folk, you do need a food processor. I personally LOVE my Breville but really any food processor with sharp blades and a good motor will be fine. You also ideally need a few kids. They are excellent at rolling balls and decorating them with chia seeds or desiccated coconut. Add all ingredients to a food processor except the 1/4 cup desiccated coconut. Blend until you see all ingredients coming together. Feel the mix with your fingers. If too dry, you may need to add a little more coconut oil. Once done, start rolling into balls and dipping into the desiccated coconut. 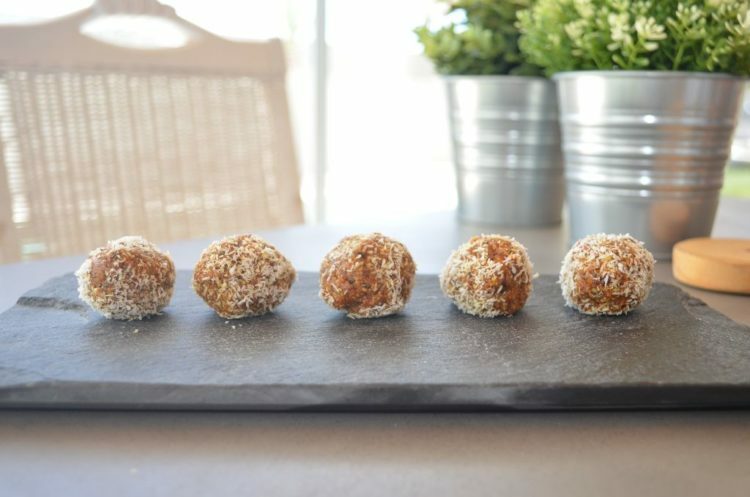 Store breakfast balls in the fridge and eat them anytime! They keep for about a week but its unlikely that you get past day 1 or 2!! From Piggeries to Veggies...this is our story.